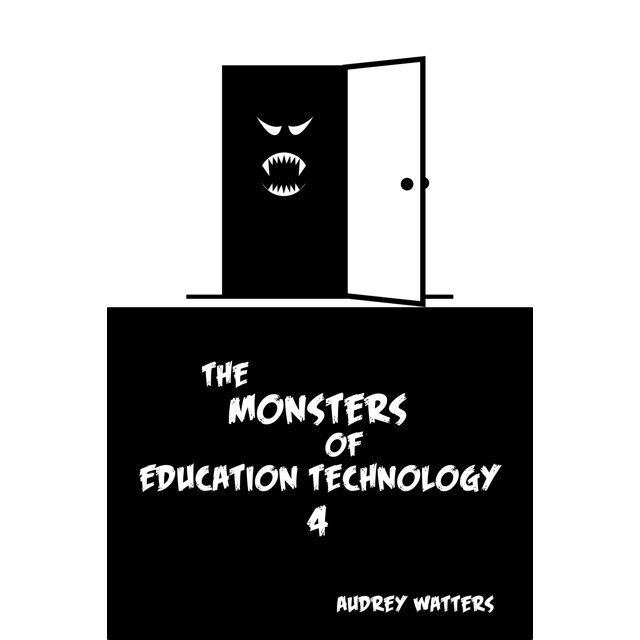 The fourth book in my “Monsters of Education Technology” series is out. As with the other books in the series, it’s a collection of talks I’ve given through the course of the year. E-book versions are available for purchase via the usual online retailers: Amazon and Smashwords. Even better (as far as my royalties go, at least): you can buy from me directly via Gumroad. You can purchase the e-book there (a ZIP file that contains the MOBI, EPUB, and PDF versions) for $4.99. You can, of course, just read most of the content here on Hack Education for free.